Ongoing medical care for individuals diagnosed with ALS can sometimes place a financial burden on the patient and their family that may feel stressful and overwhelming. If financial strain is a concern for you and your family, there are options available to lessen this burden. Governmental assistance benefits exist that you may be entitled to, in addition to services offered by local ALS support organizations. Here are a few commonly used options to get you started. Once diagnosed with ALS, you are eligible for Social Security Disability benefits as well as Medicare. It is good to review your current insurance benefits, and compare them to Medicare coverage before applying, to determine what option best fits your needs. With an ALS diagnosis, your application should be expedited, meaning you should receive a decision regarding your application within a couple of weeks, as a part of the Compassionate Allowances program. If you are working and your gross monthly income is over $1,090 the Social Security Administration (SSA) will not accept an application as you will not be considered disabled by earnings criteria. Both earnings and disability diagnosis criteria need to be met to initiate an application. 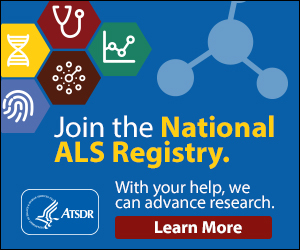 While your application should be expedited with a diagnosis for ALS this will not affect the standard 5 month waiting period for benefits to start. Social security disability benefits are not retroactive for this 5 month waiting period though you may qualify for Social Security Income (SSI) for this period if you meet the financial criteria. To learn more about presumptive disability for people with ALS, visit http://www.alsa.org/als-care/resources/publications-videos/factsheets/new-social-security-rules.html. For more information on Social Security and ALS, check out the fact sheet provided by alsa.org (http://www.alsa.org/als-care/resources/publications- videos/factsheets/professionals-guide-govt-benefits.html). You can apply for Social Security Disability benefits online at http://www.socialsecurity.gov/applyfordisability/. This tool from the Social Security Administration will help you come up with a plan for the best way to use your Social Security disability benefits. Research shows that ALS occurs more frequently in veterans than in the general population. As a veteran, you are eligible for benefits through the Veterans Health Administration. It is recommended that you apply as soon as possible after diagnosis, as benefits are retroactive to the date of application. For assistance with completing the application process, we recommend that you engage the assistance of a service officer through a Veteran Service Organization (VSO), such as Disabled American Veterans (DAV), Paralyzed Veterans of America (PVA), the American Legion, Veterans of Foreign Wars (VFW), or Veteran’s Administration (VA). This website provides an overview of VA long-term services and supports. Services provided by the following organizations include a loan closet, containing scooters, wheelchairs, communication devices and more, financial assistance for respite care, and support groups. www.gofundme.com/?utm_campaign=Emails&utm_source=sendgrid.com&utm_medium=email Some have created Go Fund Me accounts as a means of obtaining financial assistance.